Here at scott-spinelli.com we pride ourselves on catering to one and all. A lot of the feelings I’ve already listed have been ones that might not apply to kids, or at the least, apply minimally to those not 21 or older. For feeling #196, youth is served. The snow day is one of the most glorious things known to boy or girl. Sure, there’s always going to be that negative Nancy complaining about how every single snow day is just one more day you have to spend in school in July. However, you brush that thought aside. You’ll worry about July when you get to July*. You’ve got the whole day ahead of you to do whatever you want. Most of the time that’ll just devolve into nagging your parents, annoying your siblings, playing video games, watching way too much TV, and maybe (maybe) doing something in the snow like sledding or playing football. And you know what, that sounds great. Now, I work in television so there’s really no such thing as a snow day for me. Best case… I get to work from home, which isn’t bad but if you’ve ever been to where I work, you’d know why I like going in. Either way, for most adults, these days still exist. And, from what I can gather, the feeling is still great. In fact, everything is still the same (and great) except for the list of activities you do with all this new found free time. Substitute everything from the previous paragraph with “drink all day” and you’ve basically covered it the same. Polar Opposite of this Feeling? 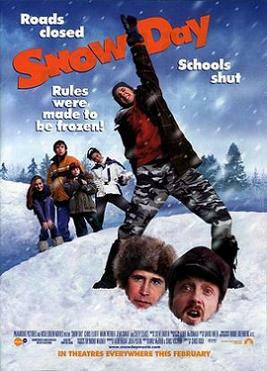 I can’t speak to this for adults, but as a kid… it’s when you get a little aggressive and anticipate a snow day to the point where you actively don’t do work due that next day. Then, your alarm goes off and you have school. *For the record, those people were only right on a technicality. Yes, there was school for longer in July than originally intended. BUT, everyone knows those days in July were so unbelievably easy it was basically like not being in school. I think there should be a global snow day. Imagine the whole world playing for one day. Nice article and it couldn’t have been left out of the top feelings.